After a scoreless first period, Providence drew first blood midway through the second, getting behind the Terrier defense on a 3-on-1 rush. 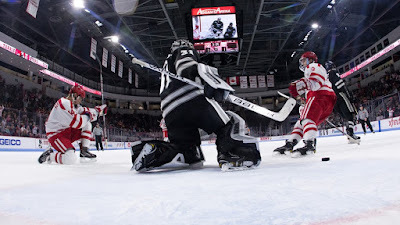 Josh Wilkins completed the play backhanding the puck past Jake Oettinger. 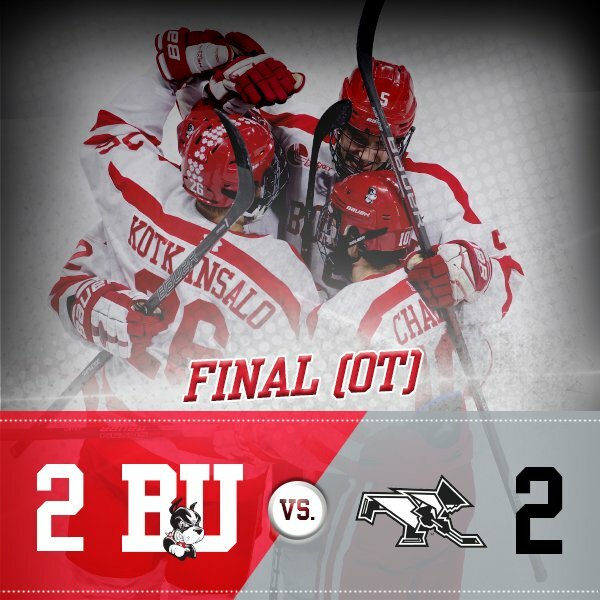 BU knotted the score when John MacLeod’s wrist shot was redirected by Carpenter past Hayden Hawkey. Less than two minutes later, Carpenter stripped the puck from a Friar near center ice, wheeled into the offensive zone and whipped a shot from the top of the right circle past Hawkey. BU’s 2-1 lead lasted only two minutes as Vincent Desharnais’s shot from the blue line was deflected home by Eric Foley. BU had a 9-4 shot advantage in the third period, thanks to three Friar penalties including a five-minute major, but couldn’t break the tie. Another power play during overtime was unproductive and both teams went home with a point. The Terrier power play was unsuccessful in six attempts and was stymied by Providence’s third best in D1 penalty kill. 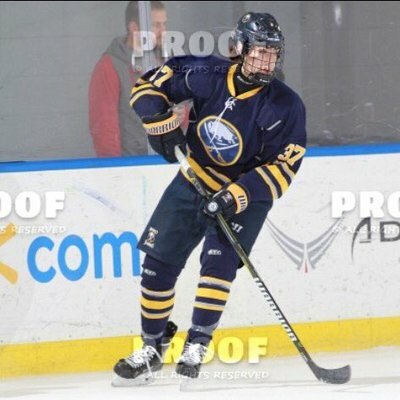 BU received another commitment for its already sizeable 2020-21 class with a verbal from Buffalo Jr. Sabres 16U Luke Tuch. A 6’1”, 180 power forward from Baldwinsville, NY, Tuch is the younger brother of former BC forward Alex Tuch, who plays for the Las Vegas Golden Knights. Tuch, who has a 18-24-42 line in 42 games for the Junior Sabres, played in last Summer’s World Selects Invite U15 tournament and in USA Hockey’s Select 15 Development Camp. He previously played for the Syracuse Nationals 14Us. All four 2018 recruits on the NTDP U18s hit the scoresheet in a 9-2 blow-out win against Sioux City. Jake Wise, who missed the first four months of the season with an upper-body injury, led the way with a goal and three assists. His third assist set up a goal by Joel Farabee, who also had an assist. Jack DeBoer scored in the third period with Tyler Weiss providing a helper. Farabee, who is second on the U18s in scoring with 32 points (14G, 18A) in 32 games, is projected to be a first-round pick in the 2018 NHL Entry Draft. Against Kemptville U18 AAA. The 6’3” right wing is CIHA’s second leading scorer with 20 points in 22 games. Terriers dropped a 6-3 decision to Providence at Schneider Arena Saturday afternoon. The Friars took a 2-0 first-period lead before Natasza Tarnowski got BU on the board midway through the second period. After PC extended its lead to 4-1 in the third, the Terriers received goals from Victoria Bach and Rebecca Leslie, but never cut the margin to less than two goals.